In the spring of 1953 the widening of the Homer Tunnel was completed; albeit there was a deal of finishing work to be done before the general public could use it as part of a complete road to Milford Sound. In addition, the Milford Track work was almost complete and the track huts could be reopened. The construction of the new hotel with other needed facilities would, however, not be complete until well into 1954. 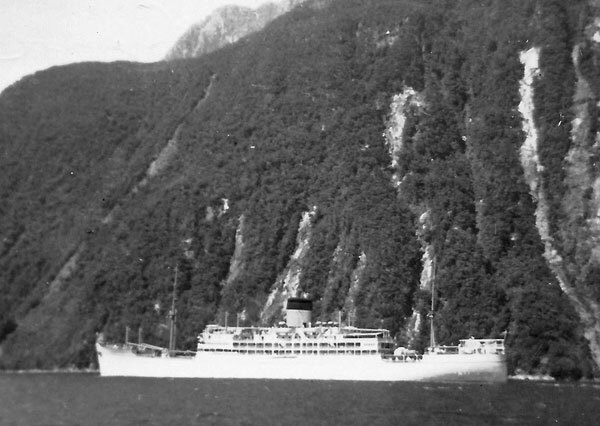 In the interim, a limited reopening of the Milford Sound Track, the Glade and Quintin Huts and the AA Lodge would provide for escorted groups to walk the track and then be conveyed by railway buses out of the Sound and through the tunnel to connect with railway bus services to Southland and Otago, etc. This did increase the work at the Post Office, in that there was a growth in the number of people living in the Sound and every two or three days a group of up to 20 or so tourists would pass through, with most wanting to post mail. I had previously pointed out to the Chief Postmaster that this would cause difficulty in, amongst other things, the keeping of regular skeds with Awarua Radio ZLB. One could not very well suddenly tell the customers that they would have to leave the building so that the sole Post Office person could do other work, given that they themselves had their own schedules to meet. This only resulted in answers that the problem was being addressed! I take my hat off to the chaps at ZLB and to my regulars at ZMV; inevitably they would wait patiently until I found time to get to one or the other. 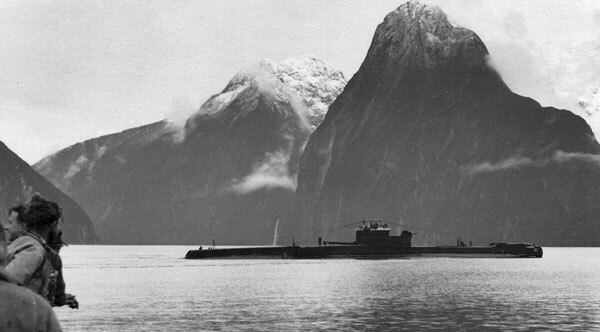 I learned afterwards that in later years a sub office unit was be allocated to Milford Sound for the “Season” to handle the counter function. Life did have some surprises. I looked up to the “next” customer one day and there was a girl who was in my class at high School some five years earlier. Sometimes our “remoteness” gave rise to significant difficulties. When the Tangiwai train disaster occurred on 24 December 1953 I was deluged with requests to find out what had happened and, more importantly, what names were in the casualty list. Medium-wave broadcasting reception was very poor in the Sound, but I did have a personal Eddystone 750 receiver and I set it up in the lounge, tuned into Radio New Zealand and just left it running. By day three, however, we received newspapers fully covering the event. 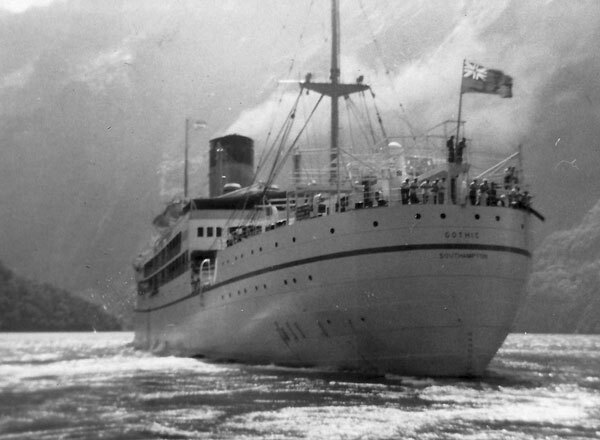 On 30th January 1954 I received a telegram from the editor of the Dominion newspaper telling me that it was believed the Royal Yacht Gothic with the Queen and her Consort aboard would would make a surprise entry to the Sound the next day. He asked if could I take some photographs and forward them to the paper; they would refund any costs. I agreed at no charge except that they would supply me with a copy of the shots. It is/was customary (I understand) for any vessel being passed by the Royal Yacht to respectfully lower its flag to the dip and not raise it again until the Royal Yacht lowered and raised its own ensign in acknowledgment. In the hotel launch we were waiting at the mouth of the Sound for the Royal Yacht’s arrival. As Gothic came abeam of us the launch master lowered our flag to the dip. 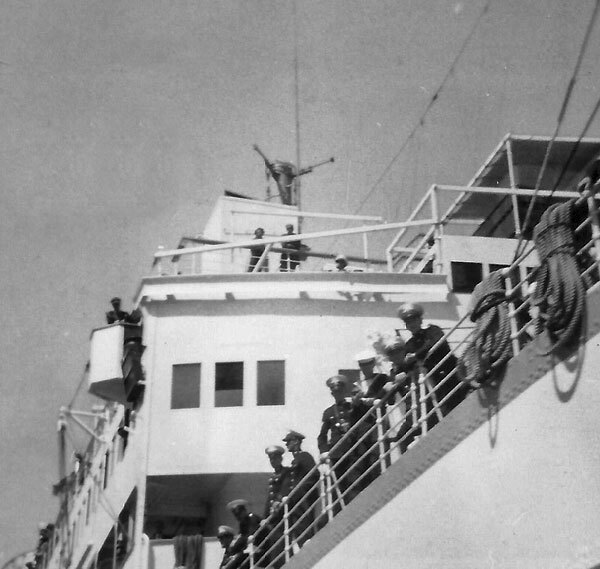 There was no immediate response from the RY then with a flurry of activity it lowered its ensign and raised it. I noticed a quiet smile on the launch master’s face. A couple of months earlier we had had another interesting visitor, the submarine HMS Telemachus. She was painted matt black and looked quite threatening. In late 1951, shortly before I was posted to ZMV, I was “called up” under the Compulsory Military Training Act. The Post & Telegraphs Department sought, and gained, postponement until they had a replacement for ZMV. I never heard anything further until I was told by Staff Division in January 1954 that I had to report in late April to RNZAF Wigram, Electrical and Wireless School. 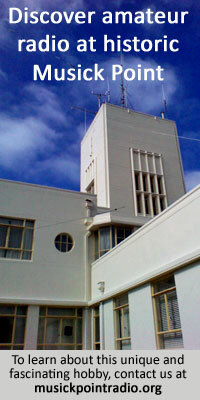 When completed I would be reposted to Wellington Radio ZLW. There was nothing I could do about that and, with reluctance and heaps of good memories, I left the Sound in early April. Dave Richards was to relieve me but I recall Ted Cahill did that until Dave arrived in May. Footnote: Shortly after I entered camp, and when we were doing the “marching up and down” bit, we all had to take a test to see if we showed aptitude to be trained as a wireless operator. The test was that you listened to two short selections of dots and dashes after which you had to tick a box if you thought the two selections were the same, or another box if you thought they were different. This was repeated about 20 or so times. We were not told of the detailed result so I will never know if I was actually suited to be trained as a radio operator. They must have been reasonably happy, as later I was remustered as a skilled recruit and posted to the Main Signals Office.